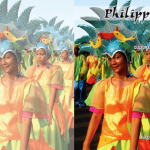 This handbook provides basic reference information on the Philippines, including its geography, history, government, military forces, and communications and transportation networks. This information is intended to familiarize military personnel with local customs and area knowledge to assist them during their assignment to the Philippines. Television dominates the Philippines’ mostly privately owned and market-oriented media, overtaking radio over the past decade. Newspapers rank third, but Internet usage is on the rise. Violence against broadcast journalists has marred the country’s claim to media freedom. Of the seven major TV networks, three are government-owned, but only one — NBN — is under the government’s operational control. NBN promotes official views but has lost audience share to private TV stations ABS-CBN and GMA, which sensationalize news and entertainment programs. TV is mostly in Tagalog and English. 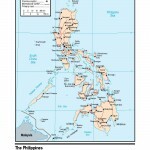 Over 150 radio networks broadcast in the Philippines. Manila Broadcasting Company is the largest with over 100 radio stations nationwide. Philippine Broadcasting Service, the only government-owned radio network, has over 30 stations. Most major networks are based in Manila, but provincial affiliates operate independently due to differences in urban-provincial needs. With much programming in local languages, radio tends to promote regionalism.